We're Going To Help You! IDDHelp.org was created for you – whether you are an individual who needs help, a family member needing services for a loved one, or an organization seeking better ways to serve your clients. A trained Community Connector is available to listen and to help provide information on agencies in the St. Louis Region that provide services to people with Intellectual and Developmental Disabilities. 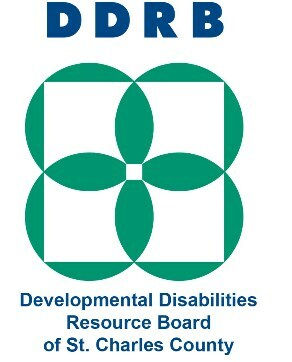 Anyone who has tried to locate resources for themselves or someone they care about knows that our region is fortunate to have many quality agencies and supports for people with intellectual and developmental disabilities. What has been lacking is a centralized, coordinated system to help people not only understand the options that are available, but how to successfully access them. We want to make sure that people who need information, who need help, know where to find it. IDDHelp.org is a partnership of the region’s Senate Bill 40 Boards (SB40s), powered by United Way 2-1-1, that is designed to help you find solutions to your needs. This partnership consists of The Productive Living Board (PLB), Developmental Disabilities Resource Board of St. Charles County (DDRB) and the St. Louis City Office for Developmental Disability Resources (DD Resources), who are all public taxing entities commonly known as an SB40 Board, that enters into funding contracts with agencies that serve individuals with developmental disabilities in their respective counties. These local SB40 Boards have teamed up with United Way 2-1-1 to leverage the existing 2-1-1 system, enhance it with in-depth disabilities-specific resources, and provide a centralized source of information regarding services for people with intellectual and developmental disabilities.